The task of conducting a focus group appears to be as simple as gathering a group of people in a room, closing the doors and getting everyone’s thoughts about a new product, service or other initiative. But the process isn’t quite that simple. 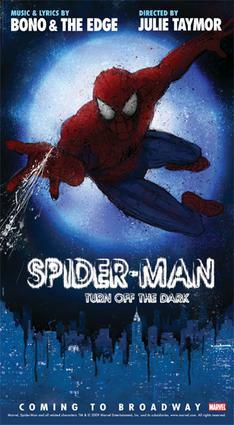 When the rock musical Spider-Man: Turn Off the Dark, opened on Broadway in 2010 after incurring huge cost overruns, production delays and miserable early reviews, some suggested it should have been titled Titanic because it looked like a surefire sinker. But producers Jere Harris and Michael Cohl staged a turnaround, taking a number of bold steps including holding focus groups and listening to theatergoers. Focus groups, considered by some to ben an anachronism in the digital age, are “neither high tech nor electronic,” but remain “a popular tool for getting consumers’ opinions quickly, because they allows observers to personally view and digest respondents’ opinions within just a couple of hours,” according to Decision Analyst, a global marketing research and analytical consulting firm. Health-care providers, among other organizations, have found focus groups to be a useful tool. “By assembling focus groups that include a diverse range of community members, hospitals are able to boost facility recognition, improve patient satisfaction, and create a more comforting environment,” the article said. The Health and Disability Working Group at Boston University’s School of Public Health conducted consumer focus groups centering on the experience of people with disabilities who tried to access health-care services. Patient focus groups have proved to be “a great source of knowledge and information” for the 447-bed Owensboro Medical Health System in Owensboro, Ky., a hospital that uses the groups to gather ideas for new programs and facilities, according to an article on strategiesfornursemanagers.com. For example, focus groups can help “when you know little about how your product or service is perceived by consumers, when you want to understand why consumers behave in certain ways, when you don’t know what issues are most important to your customers, or when you want to define topics or develop questions for subsequent survey research,” according to Decision Analyst. Further, by analyzing participants’ reactions to ideas or concepts — their gestures, facial expressions, or their silence — observers may be able to uncover more about the target audience’s reactions through an analysis of their “unspoken” language. So a focus group may be all that’s needed if you only want to explore your customers’ perceptions toward your company, product or service or if you wish only to know what, if any, minor product or service modifications are needed. But statistical validity is paramount, it’s better to do quantitative research. “Focus groups should be used for exploration and in-depth understanding, but never to make final decisions,” according to research presented by ASCD (formerly the Association for Supervision and Curriculum Development) a provider of educational programs, products, and services. Designing a good focus group requires planning, since the process involves a lot more than simply inviting a few key people to casually share their opinions about a topic. The Marketplace is Talking: Are You Listening? Social media increasingly is giving consumers a bigger voice, and companies that know how to listen and respond will prevail over competitors that don’t. Do you know what your customers are saying about your company? When Bank of America tried to charge checking-account customers for using debit cards, a customer backlash forced the bank to rescind the fees. Citibank avoided a similar public relations nightmare because it was monitoring social media and knew its customers wouldn’t tolerate such fees, according to Frank Eliason, the bank’s director of global social media. “We knew that because we were listening to our customers,” he said in Banking Strategies. Companies and brands that monitor Facebook, Twitter and blogs can track customer sentiment in real time, gaining valuable feedback. Social media chatter can help companies develop strategies. Wal-Mart Stores Inc. spent $300 million to acquire Kosmix, a social media company that extracts trends from social media conversations. According to the The New York Times, Kosmix helps Walmart set “baselines for what a normal level of buzz around, say, electronics or toys is, so it can measure when interest is getting high.” Kosmix provides customer sentiment data that helps Walmart buyers select merchandise. Social media’s value in gauging consumer interests has created a robust market for social media monitoring and sentiment analysis software and services, according to InformationWeek. Analysis is important because raw comments gleaned from social media must be parsed to sort out potential meanings or gradations of meaning. Analytics also are used to discard social media posts that are too general to be of value to any particular company. Sometimes insights come from social media posts that don’t even mention a specific company or product. For example, knowing the percentage of positive and negative comments about a Kraft barbecue sauce may be less valuable than determine what people like about barbecuing, how they cook or how they’d like to cook, Cotignola told Information Week. Such a combination is needed, according to Suresh Vittal of Forrester Research Inc. because social monitoring platforms do not provide marketing insights. “Marketing teams need a process in place to interpret and analyze data and produce actionable insight,” he said, quoted in the Computerworld story.